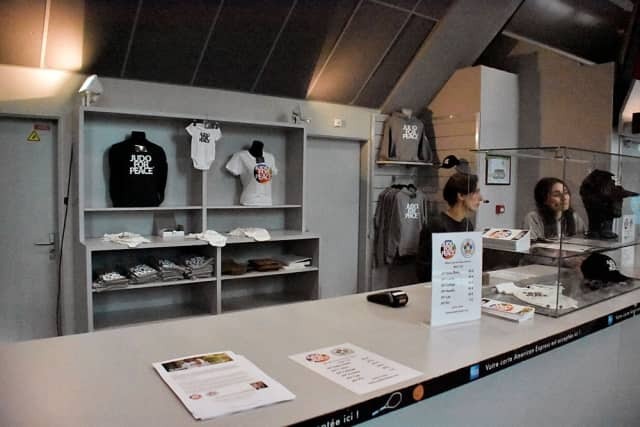 Have you visited the ‘Judo for Peace’ pop-up store during the Paris Grand Slam at AccorHotels Arena in Bercy? 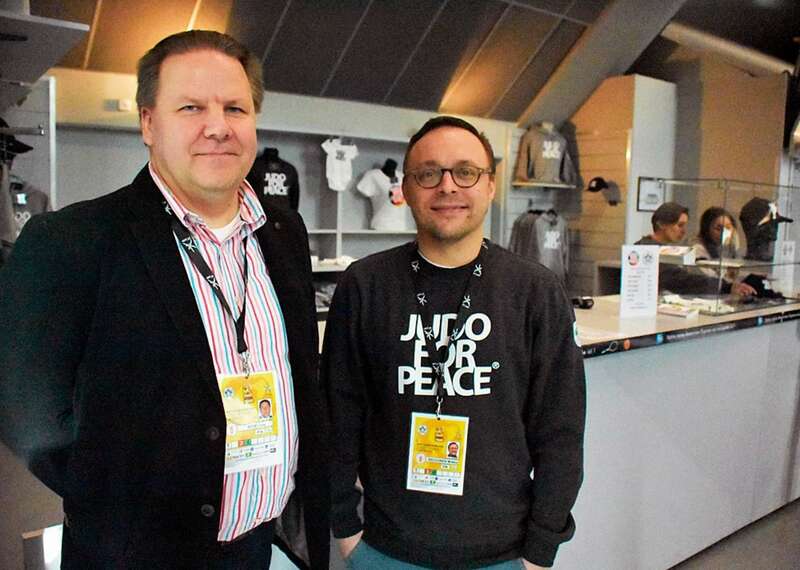 Or even better, did you purchase your ‘Judo for Peace’ T-shirt, pin or sweater? You should, as you will help bring the sport to those in need. Indeed. “All the funds JFP generates from selling its merchandise goes to charitable projects worldwide were judokas can benefit with much needed judogis or tatamis they cannot afford,” says Project Manager Miikka Neuvonen, who together with Esa Niemi, Commissioner for the IJF Judo for Peace Commission, is present in Paris to promote the brand. As judo has become one of the most practiced sports around the world, IJF decided to establish a special ‘Judo for Peace Commission’ to promote the idea of Peace, in order to build a better society in all its forms and in all parts of the world. It's a solid fact that many of the problems of today’s world are caused by poverty and unemployment, by masses of young people ending up in a state of meaningless inaction, isolation, and life with no purpose. Judo has proved a very good remedy for all this. By spreading the all-important message of peace, peaceful contending, by presenting tatamis and judo outfits, by organizing Judo training schools, camps and courses, by hiring qualified training staff, judo has proved a simply magnificent tool against young people facing exclusion. “Everybody looks at the items and likes them at the events, but that’s not enough. The Events serve as a promotional tool, but the main thing is the webshop which is open 24 hours a day, 7 days a week. It also accepts all international payment methods,” explains Miikka. If you are interested in buying JFP merchandise while helping out bringing judo to those in need, surf to the JFP dedicated website www.judoforpeace.net or click on the JFP banner on the IJF website. Federations or clubs interested in purchasing large quantities of JFP merchandise can find Miikka Neuvonen’s contact details on the website. “Instead of honoring your best athletes with a trophy this year, why not with a personalized JFP t-shirt for a change?,” ends Mikka.